Modern Dutch painting from late 20th century. 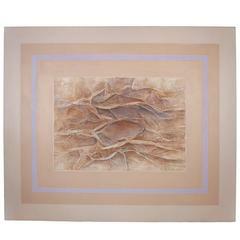 Framework mixed-media on canvas depicting an abstract subject of a good pictorial quality. 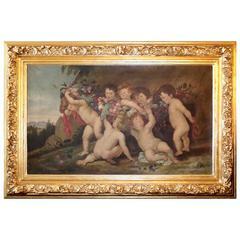 Painting missing frame, for interior decorators and collectors, in good state of conservation. Painting missing frame, in good state of conservation.